Hi loves! I have another interesting pattern for you. It is a tread on the table. Each of us loves to decorate her home with the best designs. It’s a free pattern. Read the text and learn more. The pattern is made in beautiful shades of blue with the addition of white. It is an ombre motif. Table runner has a motif in the heart. It looks very elegant and cheerful. 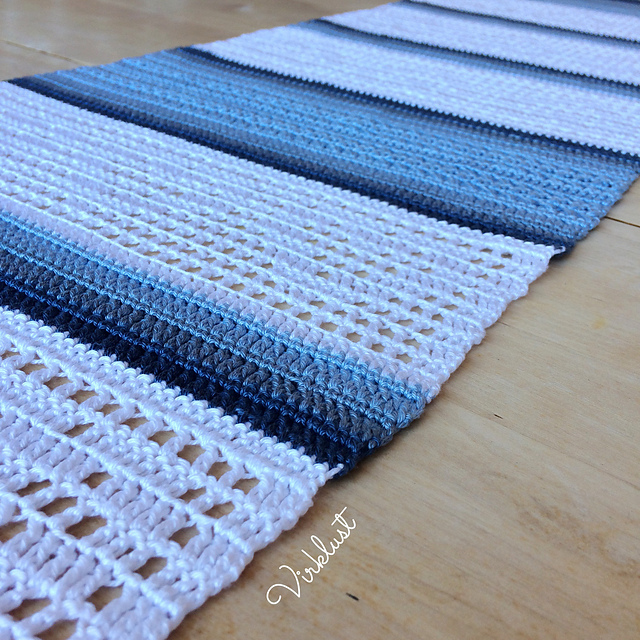 Table runner is made of Hobbia Rainbow Cotton 8/4. It is a simple and quick pattern to be made each evening. Good luck! 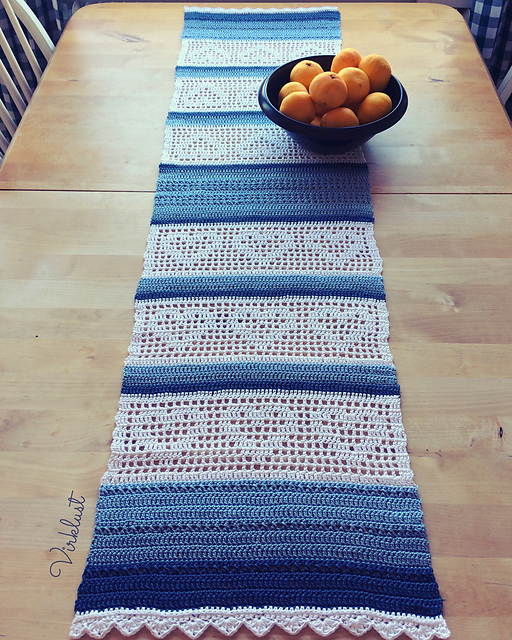 Heart Table Runner Free Crochet Pattern is here.